Do you know the Palace Pier in Brighton? If not – you should do. Opening in 1899, it was the third pier to be constructed in Brighton after the Royal Suspension Chain Pier and the West Pier, but is now the only one still in operation. The Palace Pier was constructed as a replacement for the Chain Pier, which collapsed in 1896 during construction. It quickly became popular, and had become a frequently-visited theatre and entertainment venue by 1911. 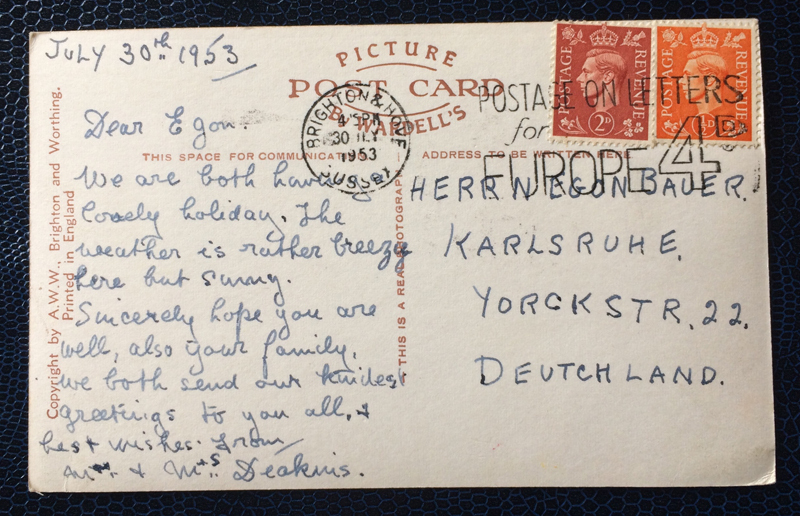 Aside from closures owing to war, it continued to hold regular entertainment up to the 1970s. The theatre was damaged in 1973 and following a buy-out was demolished in 1986, changing the pier’s character from seaside entertainment to an amusement park, with various fairground rides and roller coasters. 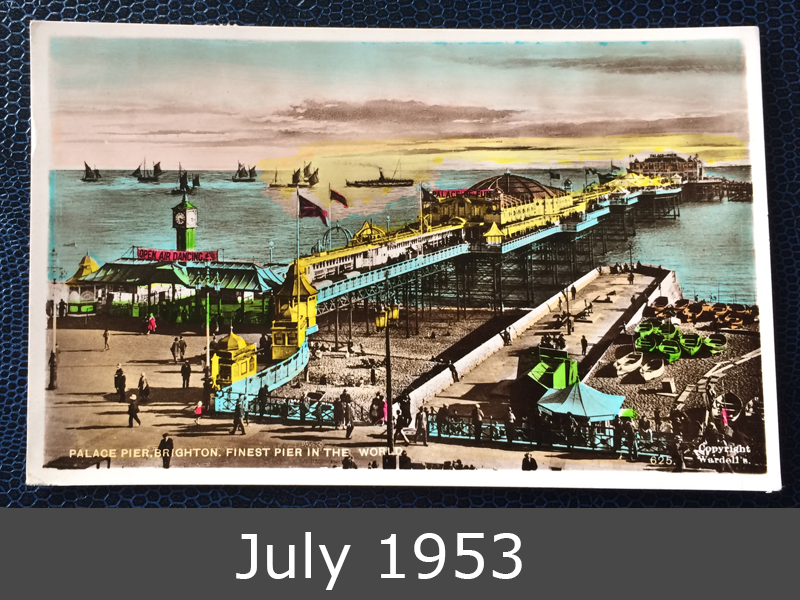 This colorful postcard shows the pier in year 1953.